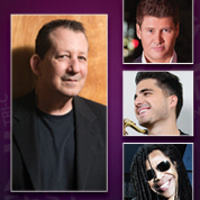 Pianist, composer and producer Jeff Lorber has been a major innovator on the music scene for more than three decades. Having produced for everyone from Dave Koz to Kenny G, the Grammy-nominated pianist is now touring with acclaimed ensemble Jazz Funk Soul, featuring Everette Harp and Paul Jackson Jr. Harp’s soulful and trademark blend of jazz, R&B, funk and pop have made him a favorite among fans, fellow musicians and critics alike, and Jackson Jr. is one of the most recorded guitarists in the world. Here is all the important information is available for windows 10 OS desktop icon. This online tutorial going to teach you how to create a short cut desktop icon http://desktopiconswindows10.com/ or may more useful knowledge about this procedure. Thank you very much to this post comment.